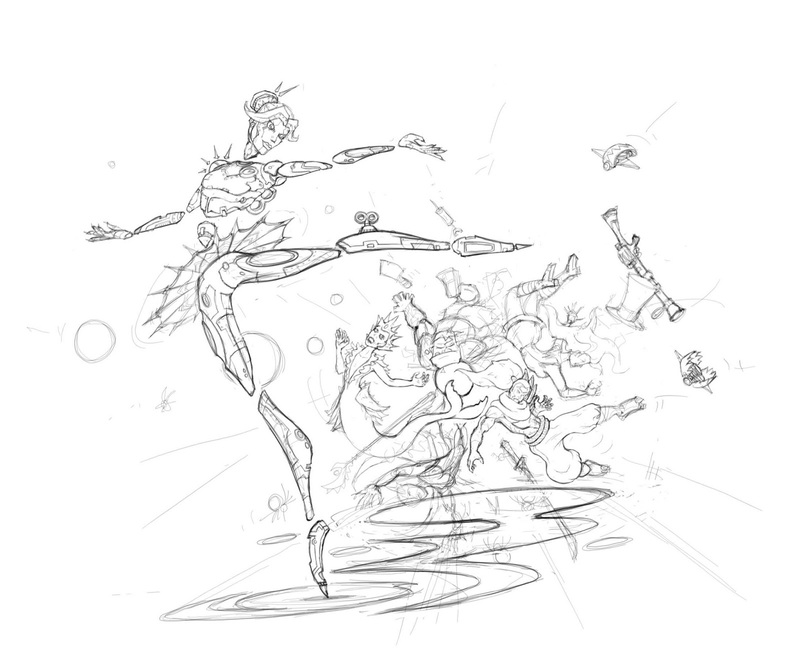 I wanted to try my hand at another piece of League of Legends art, after a little pondering, I decided that Orianna would make for an interesting subject, with her ballet grace and her devastating ultimate making for a nice starting point. 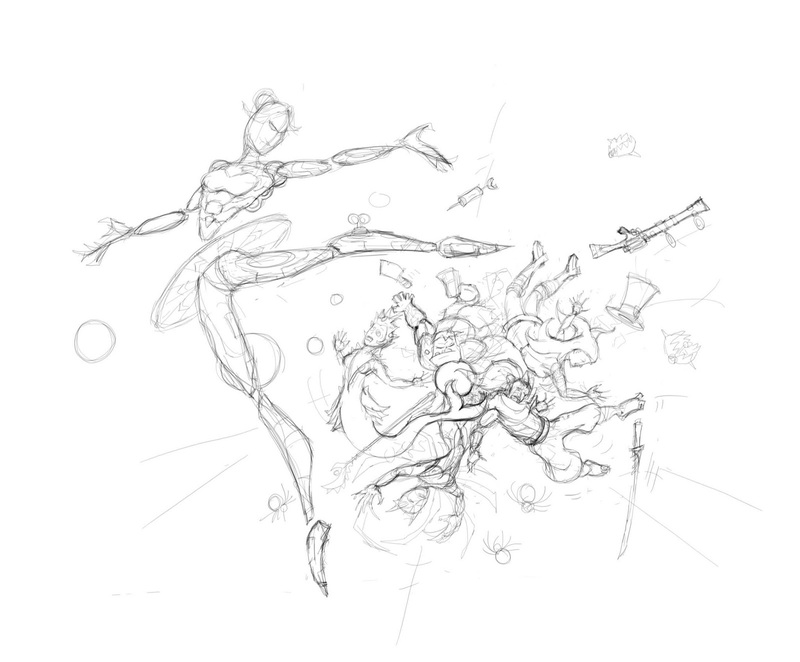 I wont be able to finish the inking pass, colouring and finishing before my flight – so I thought a post showing 10 steps of the pencilling might be interesting. 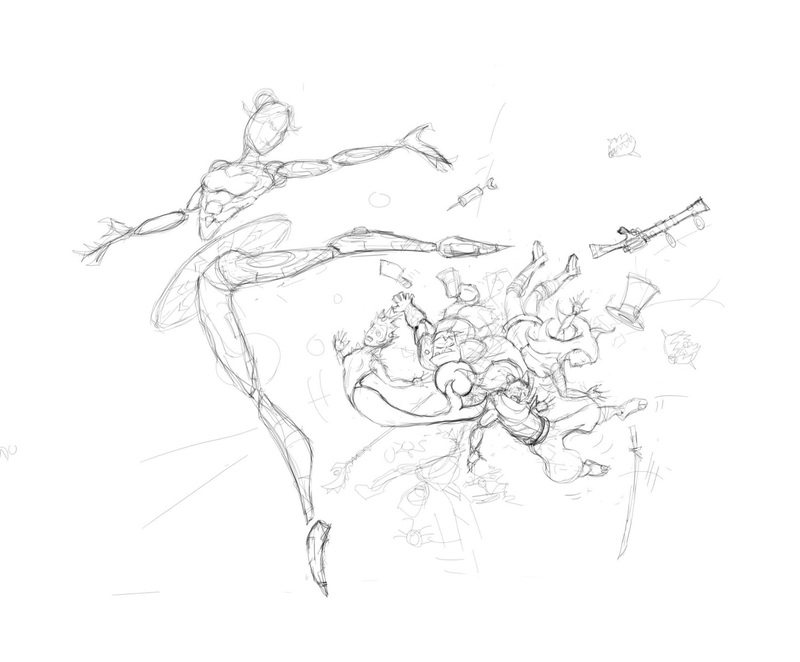 Note that when I say pencils, everything is done in SketchBookPro on my SurfaceBook – so a virtual pencil I guess you would say. 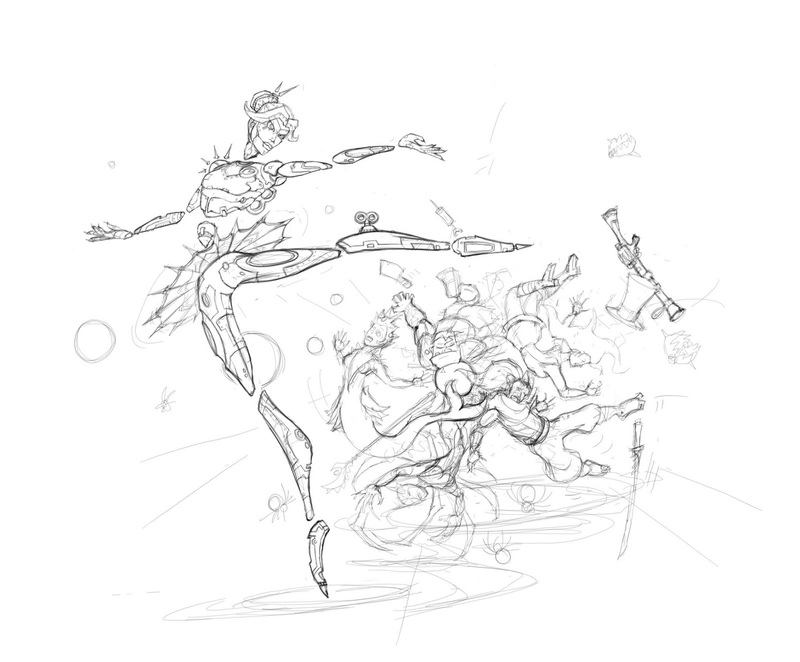 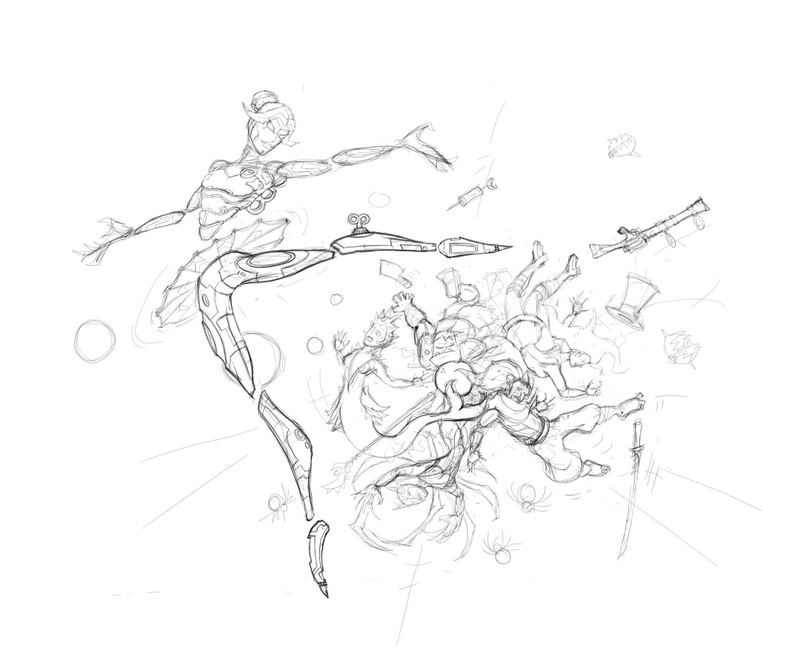 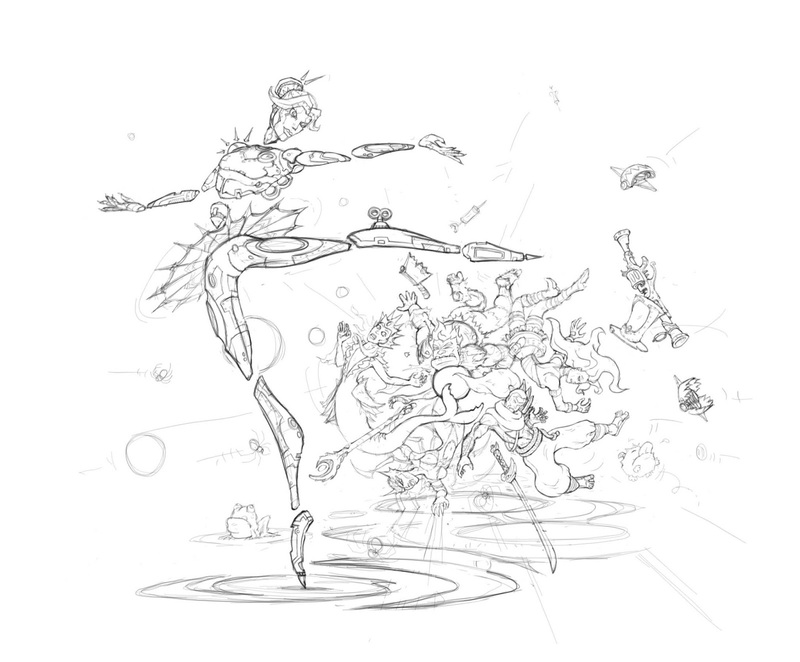 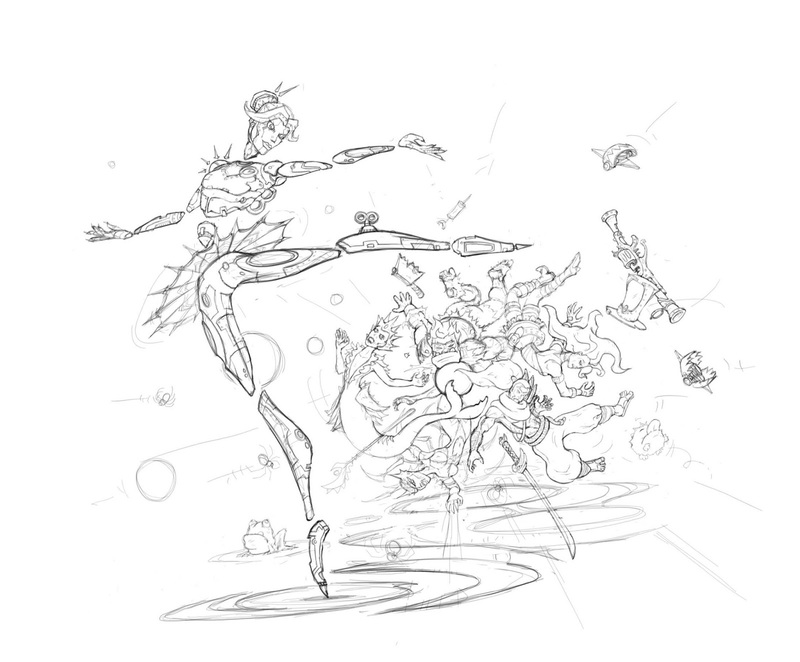 There may have been a few more layout scribbles before the first sketch as I played with the ballet form and getting Orianna to be the main focus while also building in lots of detail for the other 5 champs in the background. 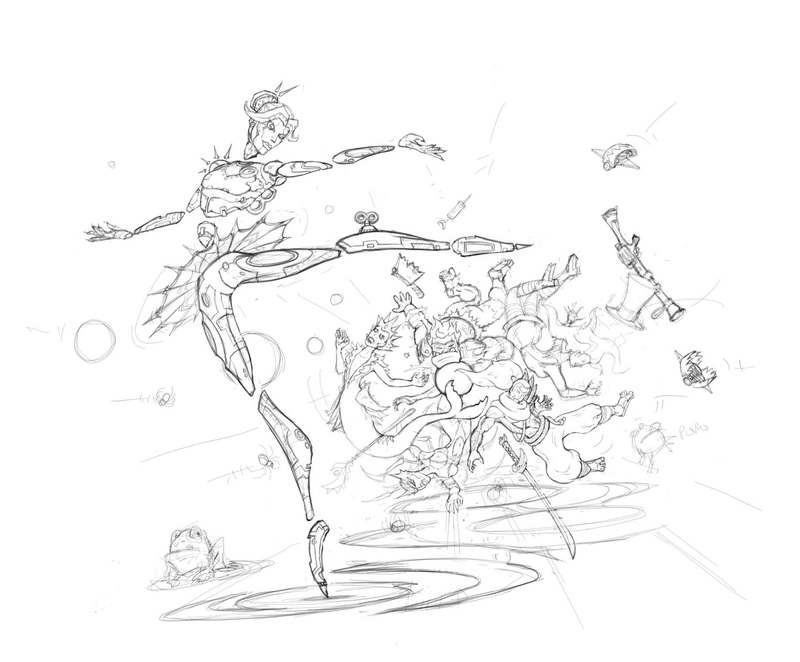 Many cool LOL images have other champions in them and it works really well.